This CD contains a searchable surname index, linked to images of the original registers. Note that early index data on this CD is unique and is not available on Internet websites. 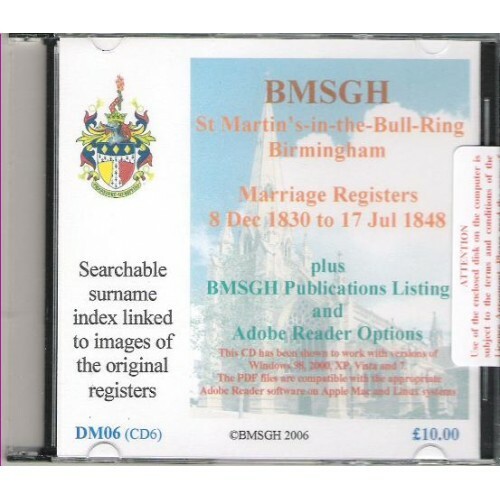 This CD is one of a collection of 10 CD's for Birmingham St. Martin's covering various Baptism, Marriage and Burial dates from 1554 to around 1929. The whole collection can be purchased as 10 CD's or 1 DVD at a reduced price of £75, please see related products. Data on this CD is in PDF format and is viewable on any PC using Adobe Acrobat Reader(supplied). 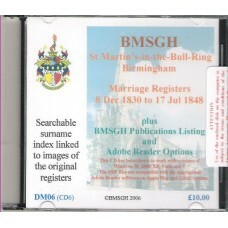 Birmingham St. Martin's-in-the-Bull-Ring Parish Registers Get copies of original Register pages emailed directly to you. 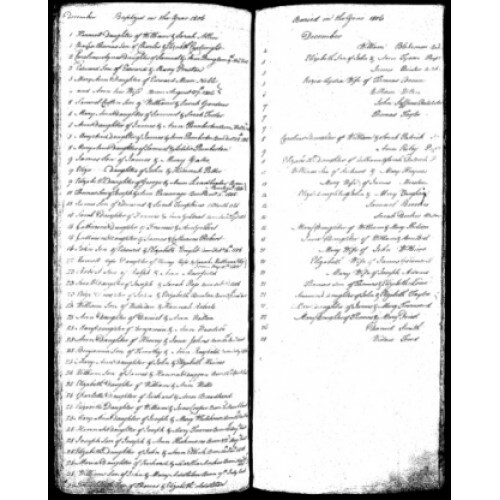 Dates cov..
NATIONAL BURIAL INDEX Third Edition The National Burial Index (NBI) is a database of entries recorded in English and Welsh burials registers - pari..